Tell us about your role at Skynamo and how you started here. My role at Skynamo is to build our brand into a globally recognized and preferred brand among our target market. Basically, my job is to make sure the right people know who we are and choose us over competing solutions. I joined Skynamo in September 2017, and over the past year, we’ve rebranded the business — changing the name from Honeybee to Skynamo — to position us better as a global brand. 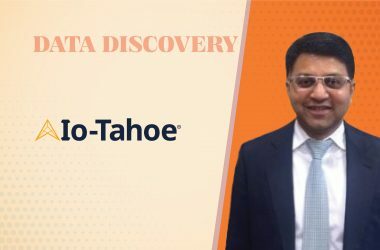 We also began the major transition from an outbound marketing focus to an inbound marketing focus, laid the groundwork for building data-driven marketing strategies, and have developed and begun rolling out channel-driven marketing through value-added resellers of ERP and accounting software. It’s been a busy year! What opportunities and challenges did you and/or Skynamo identify at the start of the 2018 and have you managed to work according to the plan? We saw entering the UK market as our big opportunity for 2018. Although we are relatively well known in our industry in South Africa — where we have over 450 customers with 5,500 users — we were completely unknown in the UK. The challenge was to enter the UK market as an unknown brand with no local case studies. Despite our high customer ratings and fantastic testimonials and case studies, these carry little weight in the UK if they are not from UK companies. Although it is still early days, we are using a channel strategy to help us gain traction in the UK. By leveraging the brand equity of UK-based businesses and marketing into their customer base, we overcome the challenge of being an unknown brand through the endorsement by our UK partners. We plan to replicate this in the US next year. 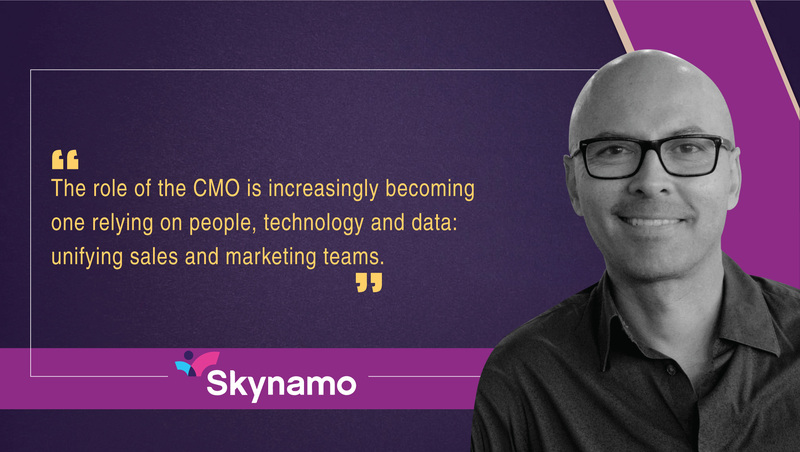 As a sales tracking platform, how does Skynamo build on its expertise to unify Marketing and Sales teams? One of the biggest benefits of Skynamo is that it integrates with the enterprise resource planning (ERP) and customer relationship management (CRM) software to bridge the gap between the two and make them accessible from any device. This makes it easier for sales teams to access and enter the right information from the field. So, marketing has better data to base their decisions on and improve marketing, which ultimately supports sales teams in selling. What are your predictions on the “Role of CMOs” and the closing gap between Sales-Marketing functions? 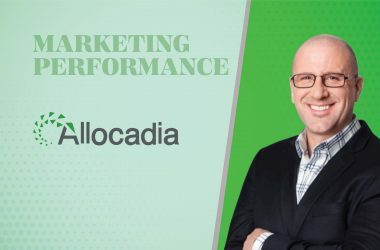 Marketing has been changing significantly over the past 10 years from a marketing-centric approach of interruptive ads, cold calls, and direct mail to a customer-centric approach where we become visible and appreciated during people’s research stage by providing them with content that will help them in their buying process. This requires shifting resources from traditional outbound marketing activities to inbound marketing, such as SEO, Pay-per-Click advertising, blogging and Social Media Marketing, so our prospects are able to find us more easily when they are in the problem diagnosis and research phases of their buying process. Sales and Marketing must be aligned in this methodology and work closely together in producing and sharing content that helps users make purchase decisions. We need to move away from trying to persuade users to buy from us to becoming trusted advisors users choose to buy from, because we are constantly adding value by providing them with insightful and helpful information. What I’m predicting is that this shift will begin to yield higher quality leads for sales teams, because prospects who ultimately contact us are now more educated on what they need and are at the right stage of the buying process. As marketing begins to generate higher quality leads in higher volumes, sales teams will begin seeing the value in using social media to find and connect with prospects. It’s a more gradual and long-term approach that requires sales teams to invest time and effort in connecting with prospects, remaining top of mind and above all remaining patient. Sales need to move away from persuading and pressure selling to connecting and building trust with their prospects. Marketing will support them in this effort by providing them with the content they need to do so. An inbound focus also enables marketing to become more data-driven in their strategy development, because there is more data now available to determine the success of a campaign thanks to the nature of digital marketing. So, the role of the CMO is increasingly becoming one relying on people, technology and data: unifying sales and marketing teams to deliver a successful inbound marketing strategy, implementing the technology to support inbound marketing and automate lead nurturing processes, and ensuring data is captured and synced across systems, so smarter marketing decisions can be made with each cycle of campaigns. How does Skynamo enable salespeople to sell better and faster? How do you measure their performance? Skynamo enables salespeople to sell more because it reduces time spent on administrative tasks, which enables them to spend more time building trusted relationships with customers and ultimately, selling more. We find that Skynamo users are able to increase face-time with their customers by 15% – 25%, which has increased sales by about 15% on average. Skynamo also transforms reps from order-takers to trusted sales advisors by providing salespeople with all the information they need to support their customers in their buying decisions. Sales reps have real-time access — via their mobile device — to accurate pricing, product catalogs, stock levels, order history and all notes taken during customer visits. The technology also provides sales managers with insight into field sales activity in order to coach sales reps’ performance and improve sales. Management can view real-time activity updates, reports, a dashboard on key performance indicators and sales projections, as well as answer questions about sales rep performance and identify any potential problem areas. So, sales managers move away from micro-managing to coaching their sales reps, which helps them improve their sales figures. Do you think AI-as-a-Service and Experience-as-a-Service could be the new destination for Sales and Marketing Intelligence companies? I don’t know enough about Experience-as-a-Service to comment, but I know AI-as-a Service will give marketers access to better decision making by bringing down the cost of using Machine Learning and Artificial Intelligence in analyzing data and driving marketing decisions. Marketing is just going to get smarter and smarter, which should have a positive impact on users’ brand experience by ensuring only the right people are reached with the right content at the right stage of their buying process. What was the most impactful lesson you had learned from 2018? How do you plan to implement the lesson in 2019? Smart marketing begins with good quality data. However, we have customer and prospect information stored in two different systems: one used by sales and one by marketing. A common problem that not only results in sales and marketing being out of sync, but also the data collected and analyzed. 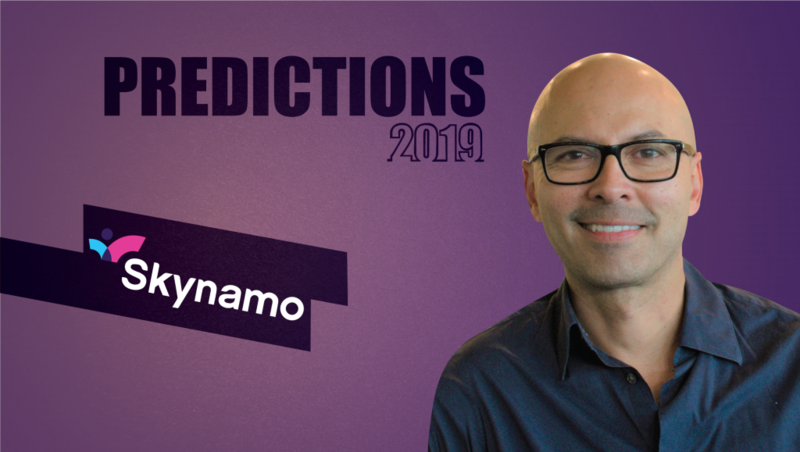 In 2019, we will be mapping out sales and marketing processes to make sure the customer journey and handover from marketing to sales is a smooth one, and we’ll be integrating our sales and marketing platforms to ensure sales and marketing work more closely together and that the data we rely on to make our decisions are easily collected, updated and always in sync. We work closely with the Endeavour, an international non-profit organization of top global business leaders and investors who mentor entrepreneurs. This year, our CEO was selected as an Endeavour Entrepreneur by a panel of notable business leaders, including Steve Case (Revolution), Donna Dubinsky (Numenta), Shira Goodman (Staples), Jason Green (Emergence Capital), and Chris Zook (Bain & Co.) among others. Our CEO now has access to a global network of business leaders who are available to provide us with advice on pressing business issues and introduce us to helpful contacts in their business networks. One advice to all the CMOs and leaders in your community. I’ll share some valuable advice my CEO shared with me: Don’t invest in technology to support your marketing until you have properly mapped out your sales and marketing processes and are able to manually support these processes with minimal problems. Implementing technology before this is done will simply automate any poorly implemented processes and ultimately result in disaster. Business-to-Business Marketer with over 20 years of experience marketing technology and helping smallbusinesses scale into internationally recognized leaders in their niche. Skynamo (formerly Honeybee) is a cloud-based Field Sales Management platform and Mobile Sales app that improves sales revenue and cash flow by bridging the gap between field sales reps and finance. Skynamo is used by manufacturers, wholesalers and distributors of products with reps in the field who visit, sell to and service customers on a regular basis. Key features include GPS tracking technology, data analytics, and integration with CRM, ERP and accounting packages. Skynamo enables remote submission of orders, automation of administrative tasks, and capturing of customer interactions on mobile devices. Sales managers are also able to better manage their field sales reps through GPS tracking to view time spent on the road or on customer visits for each rep, maintain an overview of all customer visits and orders, as well as draw valuable customer and sales productivity insights through Skynamo’s management dashboards and survey features. Founded in 2012 in Stellenbosch, South Africa and with additional offices in Johannesburg, South Africa and Epsom, United Kingdom, Skynamo has over 420 customers large and small across a wide range of industries including Food & Beverage, Building Materials & Hardware, Chemicals & Paints, and Automotive goods. Each month, Skynamo manages over 370 000 customer visits, 1 400 000 customer relationships and 1 100 000 products for customers such as Bidvest, Bosch, CAT, Elizabeth Arden, and Sir Juice.